Update (12.21.08): the price is now up to USD 7,300 with 36 bids. I did not expect it to go that high. Another day of bidding left. 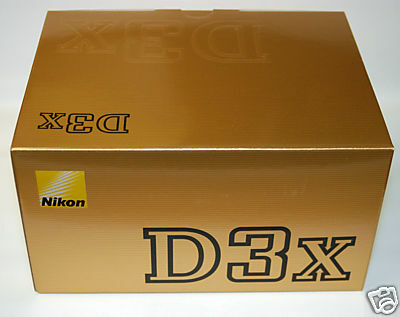 Cameta Camera is currently selling a D3x on eBay. The starting bid was 99 cents. The current price is USD 5,000. I guess they are testing the water to see how much are buyers wiling to pay. If it is true that the dealer's cost for D3x is USD 6,500 we should see a USD 7,000 price in two months. This entry was posted in Nikon D3x. Bookmark the permalink. Trackbacks are closed, but you can post a comment.